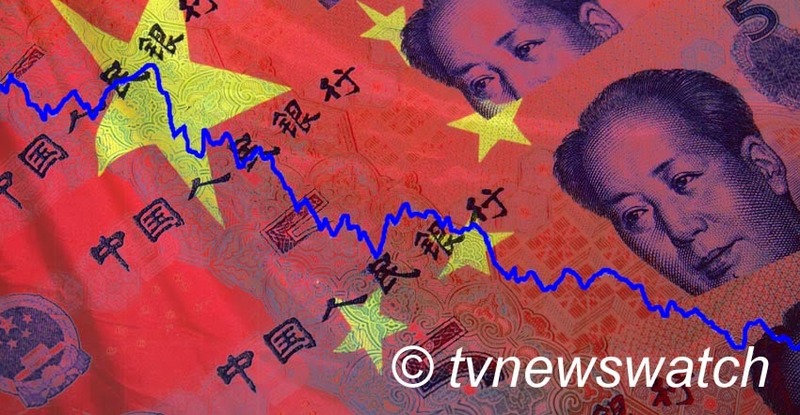 China's economy is slowing or, as some media outlets have described it, stabilising. But the country faces many troubles ahead, financially, politically, territorially and domestically. With potential property bubbles, a rise in corruption, a risk of clashes in the South China Sea and growing pollution, the future looks extremely uncertain. With all that stress a proposed ban on indoor smoking might be a step too far. According to official data China's 2013's growth rate matched that for 2012. Gross domestic product (GDP) grew at an annual rate of 7.7% in the October-to-December period, down from 7.8% in the previous quarter. Nonetheless it was still higher than the government's target rate of 7.5%. Monday's announcement of another lackluster economic performance struck investors hard. To many in the west, where growth of 2% would be considered an achievement, China's numbers may still inspire awe and envy. However China's ailing performance might be of some concern given it has routinely seen 10% growth a year since the 1980s. On the surface it may appear worrying but China's steady growth through the Great Recession of 2008 helped prevent the entire global economy from slipping into an even more destructive downturn. These are the views of many financial analysts, though there are some who believe that all is not what it appears to be. China is well known for having an opaque political system. But its financial system too is far from open, and given that statistics are compiled and issued by state bodies there is scepticism amongst some that the whole truth is not being told. Writing in Forbes only days before China released its annual financial report Gordon Chang spoke of issues that could devastate the Chinese banking system and the larger economy as well. In short, wrote Chang, "China's growth since the end of 2008 has been dependent on ultra-loose credit first channelled through state banks, like ICBC and Construction Bank, and then through the WMPs [Wealth Management Projects], which permitted the state banks to avoid credit risk." "Any disruption in the flow of cash from investors to dodgy borrowers through WMPs would rock China with sky-high interest rates or a precipitous plunge in credit, probably both. The result? The best outcome would be decades of misery, what we saw in Japan after its bubble burst in the early 1990s." Chang is not the only one to raise concerns. Al Jazeera reported that shadow banking - non-transparent, less regulated credit - could stoke asset bubbles and threaten stability. Indeed, one of the biggest worries for Chinese policy makers has been the rapid increase of debt, much of it channelled through a loosely regulated shadow banking system. Furthermore there are increased concerns that burgeoning local government debt will only add to China's economic problems. "Borrow and spend, or in China's case, borrow and invest, works great to prop up growth for a while but eventually debt rises, investment becomes less productive and the risks rise," says Steven Barnett, division chief at the International Monetary Fund, who covers China. There is also the growing concern of a crash in property prices if the housing market bubble bursts. This is highly possible given the saturation of empty properties sitting idle across China, bought up by individuals and corporations as an investment. Should the price of property crash millions would find themselves in negative equity. The consequences could spiral out of control and make the sub-prime mortgage fiasco in the US, that triggered the 2008 downturn, look like a mere blip [BBC / Time]. Faced with devastating economic problems, massive unemployment, bankruptcies and a property crash, president Xi Jinping is rallying support under the flag of nationalism and once again wielding the Communist sledgehammer [American Thinker]. China's radically undervalued Yuan currency has allowed the country to import manufacturing jobs and export low-priced products under a form of state-sponsored capitalism called "Socialism with Chinese Characteristics". From 1993 to 2008, China's economy quadrupled, raising 500 million people out of abject poverty. The US economy only doubled, while Europe's rose by just half and Japan stagnated. Now there are concerns that could all become unravelled in a matter of years. However, China's growth could receive a boost from one unexpected source as demand for Chinese exports from strengthening developed economies, led by the US, picks up in 2014, Jamil Anderlini writes in the Financial Times. In the years since the financial crisis, China's economy has become less dependent on exports than it once was, and slowing investment and shrinking overcapacity should more than negate any positive effect from stronger trade, Anderlini suggests. But China's economic future is far from certain. Another issue that raises concern and uncertainty is the territorial dispute in the South and East China Sea. In the last month concerns were raised further after China implemented new rules which required all foreign fishing vessels seek Beijing's permission to operate in most of the South China Sea. The US called the rules "provocative" [BBC]. Meanwhile some countries directly affected by the new rules responded in other ways. For the first time since Vietnam clashed with China some 40 years ago in a territorial battle, the country announced it would mark the occasion with a memorial to the dozens of Vietnamese soldiers who were killed in the bloody battle [BBC]. In Chinese state media there have been continued dismissals of those criticising China's territorial claims. In one article published by Xinhua it was claimed that the South China Sea rules were no threat to peace, this according to "experts." Those "experts" were, needless to say, academics belonging to state run bodies. One such "expert" quoted in the article was Wu Shicun, president of the National Institute for South China Sea Studies. He insisted that China's claim, defined by the South China Sea "nine-dash line", was established long before the United Nations Convention on the Law of the Sea took effect. "In accordance with the intertemporal law, the nine-dash line should be recognized by the international community," Wu said. "The waters that China claims had been under Chinese jurisdiction long before the United Nations Convention on the Law of the Sea was established [in 1982], and therefore should be taken into consideration," he added. Closer to home Xi Jinping is facing another battle to curb the ongoing threat of industrial pollution. Not only is it directly affecting China's citizens' health, it may also be affecting their wealth. New statistics appear to show that tourism has dropped, partly due to the rise in air pollution. The "Green Book of China's Tourism" issued by the Chinese Academy of Social Sciences said revenue at hotels with a three-star rating or above dropped by nearly 12% in the first half of 2013, compared with the same period in 2012. Foreigners' reluctance to come to China was attributed by researchers to poor travel services and damage to tourist cities' reputations because of air pollution, food safety scandals and traffic congestion, the South China Morning Post reported. But those staying at home may not escape Beijing's smog it has been revealed. According to several articles published in the last few days China's pollution is drifting across the Pacific Ocean and arriving on American shores. The US study, upon which the reports were based, suggests that up to 25% of the sulphates found in the air of cities on the western seaboard may have originated in China [Daily Mail / Business Week]. Back in China many face more localised pollution in the form of cigarette smoke. But lawmakers are about to curb smoking in enclosed spaces, though such attempts have failed in the past. Recent reports suggest that by the end of 2014 those wishing to light up will have to go outside, a practice now seen the world over [SCMP]. China ratified the World Health Organisation's Framework Convention on Tobacco Control in 2005, but missed the deadline to honour it by 2011. The latest announcement, published in state media, indicates that China may be more serious in its commitment [Xinhua]. So far only a few cities have implemented the 2011 rules, but they are rarely enforced and often flouted [Guardian]. About one in three cigarettes smoked in the world is smoked in China, according to the World Health Organization. And more than half of Chinese men smoke, according to the Global Adult Tobacco Survey in 2010. China had the highest number of smokers in the world in 2012 with 281 million, about one-third of the world's smoking population. A report late last year by the state-run broadcaster CCTV [CNTV - Chinese] put the number of smokers in China around 350 million [NYT blog]. The statistic in themselves will make it difficult for authorities trying to impose such a ban. While many comply with no smoking bans in hospitals, stations, airports and buses, in other places notices are simply ignored. It is quite common in Beijing, for example, to see a 'no smoking' sign placed adjacent to an ashtray on a restaurant table. Meanwhile even where restaurants do enforce the ban more strictly patrons often either blatantly ignore the restriction or smoke in the toilets. With such a large percentage of the population smoking, China could face unrest should such a ban be imposed. Furthermore the country could face big financial issues. Some of China's provinces rely heavily on tobacco. Yunnan province, for example, produces around 40% of China's entire tobacco harvest, the sales of which account for around 45% of the provincial government's tax revenue. And while cigarettes are not taxed as highly as in the west, tobacco taxes account for a tenth of central government revenue. There are also social issues. Tobacco companies often sponsor and fund schools, ironic given the health concerns, and any drop in revenue could have a knock on effect on many children's education. But Dr. Judith Mackay, the senior adviser at the World Lung Foundation, who examines tobacco issues in China, says that there are far more important considerations. "This isn't a health problem. It's a huge economic problem. There's all these things ranging from medical and health care costs, the costs to the families and there's the cost of second-hand smoke," she told CNN. It may be that the new rules will not be applied strictly, as was seen in 2011. Indeed with the risk of losing tax revenue, angering 250 million smoking men and potentially running some businesses into the ground [as was seen when the smoking ban was implemented in the UK as hundreds of pubs saw their custom drop], Xi Jinping may be more focused as waving the nationalist flag, asserting dominance in the South China Sea and stabilising the economy.